with a minimum expense and disruption to your life. Furniture and cabinets begin to delaminate, split or swell. Armstrong is about helping homeowners to get through one of their most difficult challenges with a minimum expense and disruption to their life. We truly take the burden off you and put it on us. No other company acts as the quarterback for these solutions as we do. We offer one-stop total peace of mind service – the most complete, comprehensive 24/7 customer service in the area today – everything from water leak detection to water damage inspection, structural drying, mold remediation, repairs, cleaning and full restoration of your home. We also work directly with your insurance company to maximize your claim benefit for all covered expenses. For 30+ years, we have provided quality water, mold, fire and restoration services. 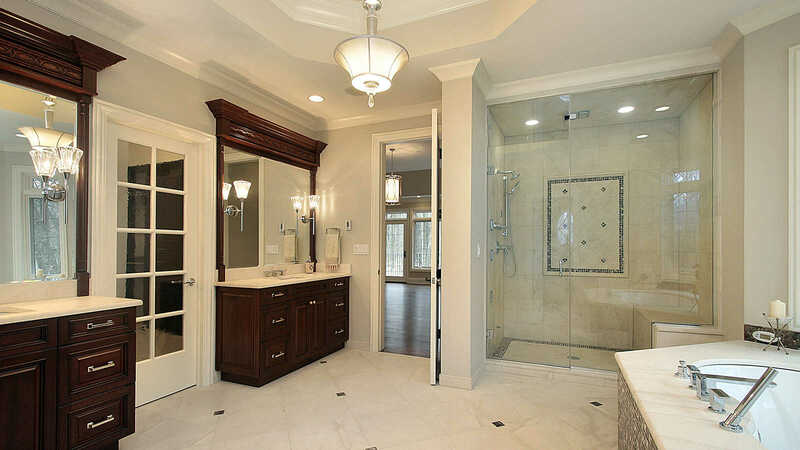 We are a certified, licensed and insured Florida residential & commercial contractor. We provide 24/7 services throughout all of Southwest Florida. We are one of a few trusted residential contractors by leading homeowner insurance companies. Our services are 100% guaranteed for safety, quality workmanship and adherence to standards. During a free inspection and estimate, we thoroughly analyze the problem. Upon selecting our services, we take immediate steps to stop the source, safeguard your family, minimize damage and maximize your insurance claim benefit. We use high-tech infrared thermal imaging to detect water behind building structures, moldings, and cabinets that is likely to be missed by visual inspection alone. We minimize permanent damage to building structures and personal property through the use of methods that safely promote drying and mold removal. We use a dehumidification and drying process with industrial equipment that removes moisture, water vapor and humidity. Through daily measurements, we determine the exact drying time requirements. We recommend and provide mold remediation services after unbiased mold inspection, testing and recommendations by a 3rd party licensed and ACAC Certified Indoor Environmentalists (CIE) company. We restore your home to better than new with proper and timely repairs, cleaning and deodorizing soft structures, and full home restorations including bathrooms, kitchens and all other affected interior and exterior structures. What are common causes of water damage? What should I know about flood damage? Floods can happen at any time. A little preparation can go a long way toward reducing associated stress, costs and risks to health and property. When flooding occurs, the safety of people and pets is of utmost importance. Homeowners should always follow evacuation directives. It is strongly advised that they keep insurance policies and other important documents in a safe and accessible location. Water extraction and drying should promptly begin when the cause can safely be contained or eliminated. When there is significant flooding or when it is not safe to remain in the property, people and pets should be prepared to relocate until safe occupancy is assured. 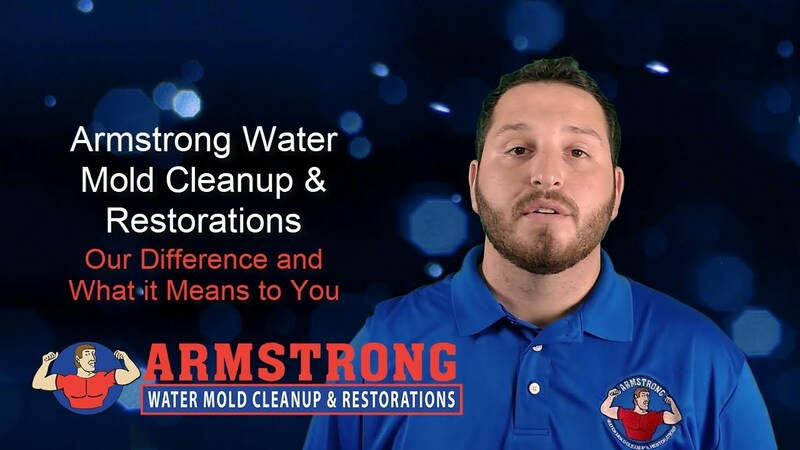 Here’s what you can expect from Armstrong as an experienced, licensed and certified provider of water damage, mold remediation and disaster restoration services for water, mold and fire damage. During the immediate period, our goal is to ensure your safety and analyze the cause, extent, and duration of the damage. Upon your consent, we deal directly with your insurance company and work to maximize your claim benefits based on your policy and our analysis. 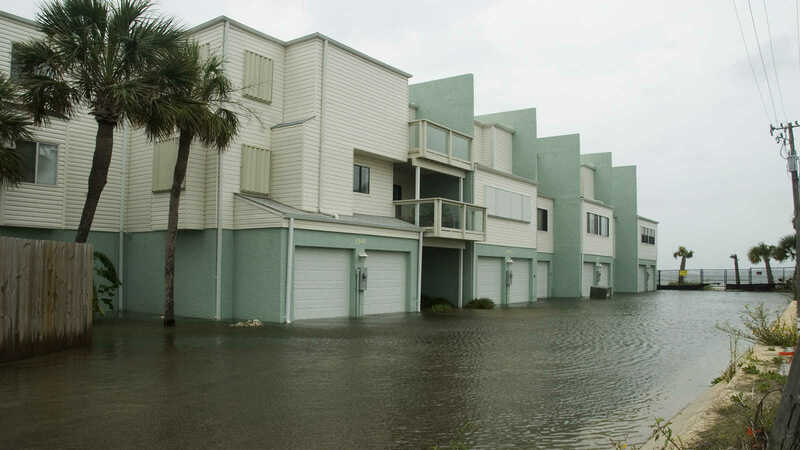 We follow IICRC standards for containment and management of flood damage. We help you find suitable accommodations when appropriate. We use special equipment to detect and measure moisture during the drying period. We use special industrial equipment to extract water and dry building structures. We contain, dry and restore personal property that can be salvaged. When roofing, plumbing and/other specialty trades are required, we remain in contact with these contractors as needed for a safe, quality, efficient and appropriate workflow process. We recommend an inspection and testing from a certified and unbiased mold environmental company before mold remediation is performed. We restore your property to better than new condition. From beginning to end, your assigned account representative is there to help you to get through a catastrophic event in the best possible way. What is a pipe burst cleanup? A burst pipe is a plumbing emergency that should be handled immediately by a reputable and trustworthy plumber. A burst pipe may be obvious or hidden behind building structures. Until the source of the flood and water damage can be determined, the first initial step is to turn off the water at the main shut-off valve. The second step is to call your insurance company and initiate a claim. The third step is to call a reputable water damage, mold remediation, and restoration company. When you call Armstrong, our inspection and determination of the cause is performed at no cost to you. If we determine that your flood is related to a plumbing issue, we help you to obtain the services of a reputable plumber to repair the leaking or broken pipe. Rapid response to a burst pipe and appropriate pipe burst cleanup is essential to safeguard building structures, people, pets and personal property. Water damage repair is the best way to prevent the formation and spread of toxic mold that is often the consequence when drying and repairs are not performed quickly and appropriately. What is a sewage backup cleanup? Floods from sewage backup occur when water comes up or is pushed into your home through the pipes from sewer or drainage systems. This type of flooding event is one of the most serious as it involves unsanitary dirty water from the sewer. Even if the water appears clean, it is contaminated with microorganisms that pose a serious risk to people and pets and can destroy personal property and building structures. A sewage backup cleanup should be initiated at the time of the flood. If a plumber is already on the premises, be cautious in allowing them to assist you in obtaining sewer backup cleanup services. Their recommendations may be based on financial compensation. It is not uncommon for companies who pay kickbacks to overcharge and exploit the homeowner with extensive demolition that may not be needed. It is always best to contact your insurance company and ask them who they recommend. They may offer to send someone to your property and cover 100% of the cost. Armstrong Water Mold Cleanup & Restorations is one of only a few water damage service providers recommended by insurance companies because of our quality and ethical practices. When do I need water damage repair? Even a relatively minor flood can allow water to seep behind cabinets, baseboards, flooring and building structures. You may believe that you adequately mopped up all the water. But when it comes to structures that are hidden from your view, proper drying is unlikely. Without appropriate drying and dehumidification, water can result in irreversible structural damage. A warm, moist, dark environment behind building structures and cabinets provides an ideal breeding ground for mold. Within 48-72 hours, Mold rapidly replicates and spreads to other areas of your home. Hiring a water damage repair professional can be a relatively minor expense to prevent catastrophic damage when left untreated. Water damage repair services are performed by a state licensed, insured and certified contractor to assure safe, quality and appropriate intervention. Water damage repair can consist of extraction, structural drying, and repair and/or replacement of affected building structures, appliances, and materials. It also includes cleaning to restore water damaged furniture, draperies, carpets, tile flooring, and personal property. Water leaks can be the result of faulty plumbing, roofing, gutters and other building materials in poor condition. Signs of a water leak include water stains on ceilings, walls and along baseboards. The staining may be associated with cracking, peeling paint. When a musty odor is present with or without visible mold, it is likely that water leak damage has occurred for some time. If you have or suspect a water leak, water leak detection services are a must. 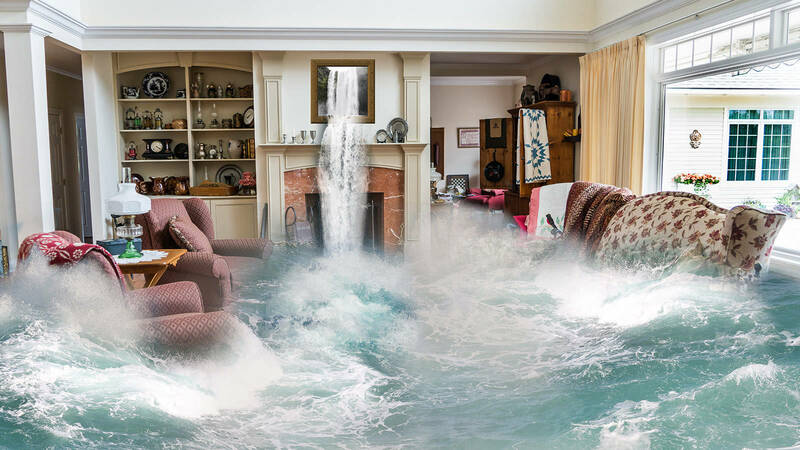 Armstrong is an experienced reputable water damage service company. Contact us for a free inspection and estimate for water leak detection and repair services. The inspection consists of a thorough analysis to determine the source and a plan to eliminate the problem and restore the property to a like new condition. When water damage affects building structures such as drywall, baseboards, carpets, flooring, and/or cabinets, structural drying and dehumidification is accomplished by high powered fans and industrial grade dehumidification equipment that operates 24/7 for several days. The equipment is monitored daily with measurements to determine the degree of moisture in these structures and when it can safely be discontinued. Structural drying is an essential step in safely resolving a water damage event. How do you protect people, pets and property? When there is a catastrophic water damage or mold event, we take the protection of people and pets very seriously. We help you to find suitable short-term accommodations and take advantage of insurance benefits to cover these expenses when available. We contain damaged personal property and affected building structures that can be salvaged through proper drying and dehumidification. Through water damage repair, we use commercial grade fans and dehumidification equipment to dry and remove moisture in areas behind flooring, baseboards, cabinets and drywall. If left untreated, these weaken building structures and provide an optimum breeding ground for the growth of mold and bacteria. When toxic mold or a mold infestation is present, we use mold containment and remediation to remove mold and prevent mold spores from propagating and spreading into other parts of your property. What is thermal imaging and how do you use it? Infrared thermal imaging is a technology in which color in vibrant shades of blue indicates moisture behind building structures. It is extremely valuable in identifying areas of water damage that are hidden from view. Along with other equipment, we use the same infrared imaging to monitor the effectiveness of the drying process. Water damage restoration is performed after initial steps are implemented. These include eliminating the cause, drying and dehumidifying affected surfaces and building structures, and removing porous materials that cannot be salvaged. When there is evidence of a mold infestation or toxic mold confirmed by testing, mold remediation would be performed to safely remove the mold and prevent the spread of mold spores. Restoration is the final step to bring the property to its like new condition. This may include replacement of flooring, drywall, baseboards, ceiling tiles, ceramic tiles and anything else that restores the property to its pre-damaged condition. Included in this phase of water damage restoration is proper cleaning and odor removal for affected upholstered furniture, draperies, and tile and grout. AC duct cleaning is also recommended to remove mold spores that could spread throughout the home. Besides being IICRC and an EPA lead-safe certified contractor, Armstrong is a fully licensed and insured Florida contractor for providing complete restorations and renovations in residential and most commercial properties. Black mold is a greenish black fungus that is most commonly found in flood-damaged buildings. Toxic black mold produces mycotoxins that are associated with some serious health problems including respiratory infections, allergies, and asthma, shortness of breath, wheezing, coughing, eye irritation, nose and throat irritation, and headaches. Risks are increased in children, the elderly and people with respiratory problems. Mold is a form of fungus that is everywhere. Mold generates spores that travel through doors and windows and through HVAC systems. But it takes the right conditions for mold to grow. Where there is a warm, moist, humid environment with poor ventilation, mold grows rapidly. Within 48-72 hours after a flood or other improperly contained water damage event, a significant mold problem can start and spread throughout a home. Often there is a musty odor associated with a mold problem. In high enough concentrations whether they are “toxic” or not, all forms of mold are known to cause health problems. When a mold infestation of any type is present, mold remediation services are recommended. Mold remediation or mold cleanup is a process of safely containing the mold infestation, removing the mold and repairing the damage on affected hard surfaces. In areas where mold has penetrated porous or absorbent surfaces such as carpets, drywall, cabinets, counter-tops, wallpaper and ceiling tiles; removal and replacement of affected materials is recommended. Mold remediation is performed by professionals who have special training and equipment for eliminating mold through special cleaning methods or protocols defined in IICRC certifications. These protocols prevent the release and spread of mold spores during the cleanup. Mold remediation is recommended when a toxic mold is present and when there is a mold infestation, regardless of the type of mold present. Armstrong has multiple IICRC certifications that assure compliance with protocols for water damage repairs and mold remediation. How is mold inspection and testing done? We know that mold remediation is a costly and labor-intensive process. We believe that mold remediation should be performed based on mold testing and unbiased recommendations by a 3rd party licensed and ACAC Certified Indoor Environmentalist company. These specially trained professionals provide inspection reports that document visible mold, the source and extent of mold contamination, and recommendations for cleanup according to nationally accepted industry standards such as S-520 and S-500. What is mold cleanup restoration? After toxic mold or a mold infestation of any type is safely removed through IICRC mold remediation protocols, restoring the property to its pre-damaged condition is the final step. During this phase, we repair and replace all building structures and other materials that were removed during demolition and cleanup. This may include replacement of flooring, drywall, baseboards, ceiling tiles, ceramic tiles and other affected structures. Mold cleanup restoration services also include cleaning and odor removal for affected furnishings, tile and grout and personal property that can safely be salvaged. AC duct cleaning is performed to remove mold spores that could spread throughout the home. During this time, the homeowner can purchase and replace discarded soft surfaces such as draperies, pillows, linens, and upholstered furniture. What ongoing maintenance services do you provide? After your water damage repair and/or mold remediation project is completed, we help you to maintain a clean, beautiful home environment. We offer the same quality restoration cleaning services for maintenance – everything from carpet cleaning to upholstery, tile and grout, draperies and AC ducts. What types of properties do you repair and restore? Armstrong repairs and restores residential and commercial properties through SW Florida. This includes single family homes, condos and commercial properties where the building is a maximum of three stories. How do you help with insurance claims? We have specialized knowledge and experience in working closely with insurance companies for water damage, mold remediation and fire damage. Because of our ethics and reputation for strictly adhering to IICRC certification requirements, Armstrong is one of only a few water damage, mold and restoration companies to be on the approved and recommended list by some of the leading homeowners’ insurance companies. We are able to read through the legalese within your policy to determine exactly what is covered as well as the specific terms. We provide your insurance carrier with detailed itemized documents for all damages including pictures and descriptions that accurately define replacement needs and costs. This allows us to work in your behalf to expedite claims and maximize your benefits for covered expenses. What types of expenses does insurance cover? Each insurance company has their own policy benefits, exclusions, deductibles and premium costs for water damage, floods, roof leaks and sewer backup events. Why should I choose Armstrong services? Armstrong Water Mold Cleanup and Restorations is a fully licensed, certified and insured contractor in Florida. For more than three decades, our experience, training, and values for integrity, quality, and dependable services have made us a trusted water, mold, fire and restoration contractor. Unlike some of our competitors, we follow IICRC standards to assure safe and appropriate practices. This means that customers are not overcharged for unnecessary and costly demolition and restoration of their property. We are one of a few trusted residential contractors for water damage, mold remediation and restoration services by leading homeowner insurance companies. We respond 24/7 within a 2-hour response time to water damage and mold service calls within Southwest Florida. The inspection and estimate are free. We stand behind all of our work with an unconditional guarantee for quality, workmanship and dependable service. If you are looking for one-stop total peace of mind service, call us. Even if you worked with another company for repairs and restoration, call us for ongoing maintenance. What are the areas where you provide services? Our service areas span all of Southwest Florida. This includes Marco Island, Naples, Bonita Springs, Estero, Fort Myers, Fort Myers Beach, N. Fort Myers, Cape Coral, Sanibel Island, Punta Gorda, Port Charlotte and other inland areas of Collier, Lee and Charlotte Counties. What do you charge for inspections and estimates? We provide a free inspection and estimate for all water damage and mold service calls.